The Chancellor Philip Hammond presented the last Spring Budget on Wednesday 8 March 2017. In his speech the Chancellor was keen to point out that he wanted the tax system to be fair, particularly in relation to the distinction between employed and self-employed individuals. 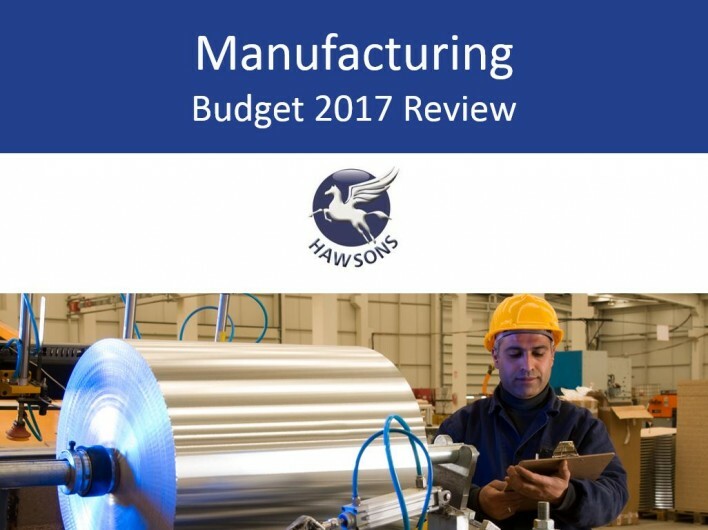 In this article, we look at how the Chancellor’s Spring Budget impacts the manufacturing sector. In December and January the government issued a number of clauses, in draft, of Finance Bill 2017 together with updates on consultations. Although there is little to report, no news could be good news for the sector, in a period of economic uncertainty. There are a few details that do affect the manufacturing sector though, such as the delay to the Making Tax Digital project (MTD). The main reason many businesses are anxious for the introduction of MTD is because of the quarterly reporting system – requiring businesses to file, effectively, five tax returns. HMRC haven’t released much detail about this project so there is still a lot of uncertainty surrounding MTD, along with the extra burden of filing even more tax returns. However, the delay of an extra year (for those under the VAT threshold) is welcome news as we prepare for what is undoubtedly a huge change to the way we conduct tax returns. The Chancellor announced in his first and last Spring Budget a new T-level system. This is intended to put technical education courses on an equal footing with academic courses. This new system will increase the number of hours students train by 50% and replace the current 13,000 qualifications with 15. In order to pay for the new system, the Chancellor announced an extra £500m a year and the changes are expected to come into effect from 2019. This is certainly welcome news to the sector, and Chris Hill, Manufacturing Specialist at Hawsons, commented: “The introduction of the T-levels is good news for the sector, especially at a time when there is a skill shortage threatening to put growth at risk and the economic uncertainty that currently surrounds Britain. Although it won’t solve the issues that currently face the sector, it’s certainly a start.” Coupled with the T-levels is the Talent Funding programme, aimed to fund additional PhD places and many of these places will be within STEM disciplines. The Dividend Allowance will be reduced from £5,000 to £2,000 from April 2018. The aim of this is to decrease to the tax difference between the self-employed and those working through a company. The government expect that even with the reduction in the Dividend Allowance to £2,000, 80% of ‘general investors’ will pay no tax on their dividend income. However, the reduction in the allowance will affect family company shareholders who take dividends in excess of the £2,000 limit. The cost of the restriction in the allowance for basic rate taxpayers will be £225 increasing to £975 for higher rate taxpayers and £1,143 for additional rate taxpayers.